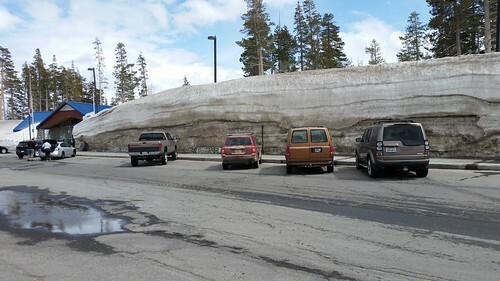 At Donner Summit rest area, this was how much snow was still on the ground. At least four meters looms over the parking lot. The building are all but buried in snow, even in mid-April. 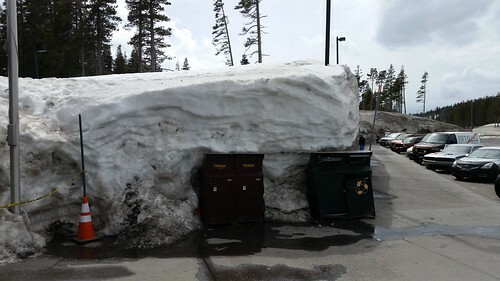 No wonder ski areas are projecting skiing through Independence Day! 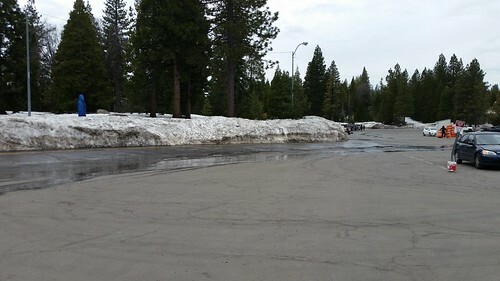 Even a couple thousand feet lower to the west, at Nyack, there was still plenty of snow, with an operator charging for parking for people coming up from the Sacramento Valley to play in it.